It’s here: the conclusion of the League One season. The League One play-off final is to be contested by Rotherham United and Shrewsbury Town on the 27th May at Wembley Stadium. The game decides which of these two teams will join Wigan Athletic and Blackburn Rovers in promotion to the Championship. Since 2010, only one League One play-off final winner has been relegated from the Championship in the following season – Yeovil in 2014. So, if the winner plays their cards right, they could be looking at a prolonged spell in England’s second flight of football. Rotherham United come into this game seeking immediate passage back to the Championship. After finishing 21st twice and then rock bottom last season, The Millers will be hoping to win the play-off final and have a better showing in the second tier of English football next season. Shrewsbury Town have been basement dwellers in League One for the last couple of seasons, following promotion from League Two in 2015. Having shocked the league to finish third this season, The Blues will be hoping to continue their hot season and achieve promotion. Both teams are in good form as they approach the final at Wembley, with three wins and one loss in their last five games. Rotherham succumbed to a draw in their first play-off game against Scunthorpe United but sealed the deal at home. Shrewsbury, on the other hand, put in a strong showing to defeat Charlton Athletic 1-0 home and away. But, this hasn’t swayed the League One betting odds as Rotherham are at 8/11 to Shrewsbury’s evens to earn promotion. Shrewsbury Town will be hoping for success after just missing out on automatic promotion. The final looks set to be a very closely contested affair. Both teams like to pack the midfield, and both have a top striker ready to clinch any opportunity they get. This season, Rotherham United and Shrewsbury Town met for the first time since 2013/14. When Rotherham hosted Shrewsbury at the New York Stadium, it did not start well for the hosts. Shrewsbury went 1-0 up early thanks to central midfielder Jon Nolan. But, early in the second half, captain Abu Ogogo saw red. Rotherham capitalised on this via the boot of Richie Towell late in the game, but the ten-men of Shrewsbury rallied for top scorer Stefan Payne to score in the 93rd minute. After a somewhat humiliating loss, Rotherham came to New Meadow with a point to prove. With manager Paul Warne’s trademark dense midfield, The Millers managed to hold onto a 1-0 lead earned by defender Richard Wood late in the first half. 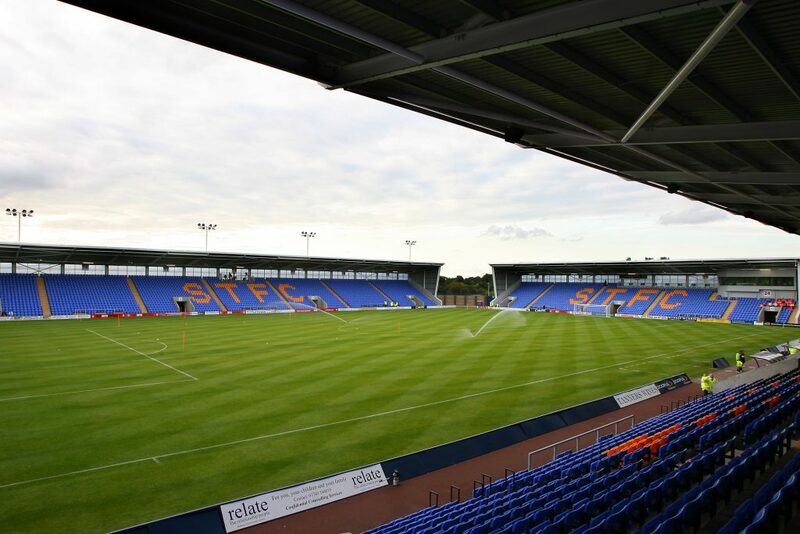 Historically, Shrewsbury have an edge over Rotherham, winning nine of the 19 contests between the two clubs, including an FA Cup tie in 2011. Rotherham have managed to come away with five wins in the history of this clash, with the other five resulting in draws. Can Shrewsbury overcome the odds? It looks to be a very close game, but many are backing Rotherham to edge the play-off final. They’re 7/5 to win in 90 minutes and 10/1 to win in extra time. Shrewsbury, on the other hand, are 21/10 to win in 90 minutes and 12/1 to win in extra time. Since 2010, only two League One Play-off Finals have gone to extra time, and both of those ended up being decided by penalties. Both teams are 10/1 to win on penalties. The games during the League One season yielded a 2-1 and a 1-0 result, with both teams to score in this game set at 10/11 either way. If the season is to see a repeated scoreline, Rotherham are at 13/1 to win 1-0, while Shrewsbury are at 10/1 to win 2-1. Even though Rotherham and Shrewsbury ended with very similar goal differences – +20 and +21, respectively – they went about it in very different ways. Rotherham are high volume scorers, scoring the third-most goals in the league at 73, but conceding the seventh-least at 53. Shrewsbury, on the other hand, scored the seventh-most goals with 60 but conceded the second-least with 39. Rotherham to score over 1.5 goals in the final is at 8/5, which are the same odds for Shrewsbury to go without scoring. The League One betting odds certainly appear to favour the higher scoring team over the strong defence. Who will influence the game? Rotherham United are all about scoring goals. 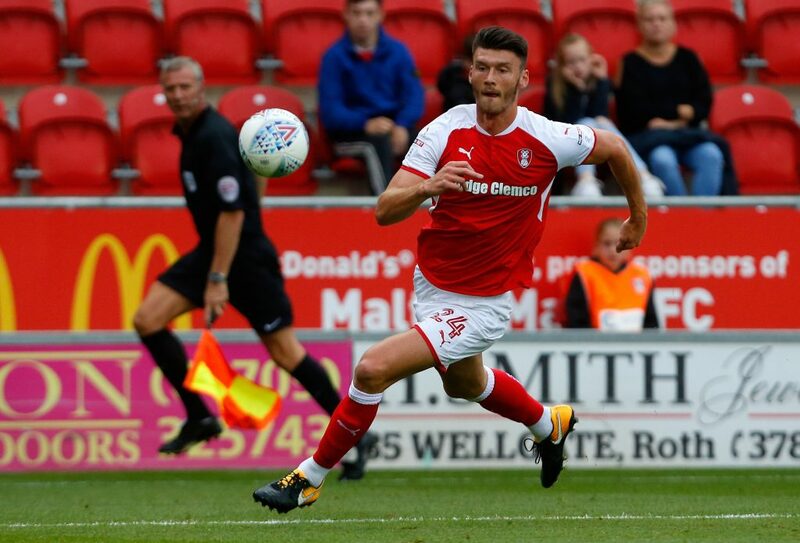 Since loanee – and still, the season’s top scorer for Rotherham – Kieffer Moore left in the winter window, David Ball and Michael Smith have been leading the line. Both strikers are at 5/1 to score first, with Smith starting both first round play-off games as the sole striker. But, it’s the threat from midfield that makes Rotherham so dangerous. Tucked in and around the striker will be central midfielder Will Vaulks and his eight goals this season, Joe Newell on the left side of midfield with his eight goals, and the six-goal Richie Towell will also be in the middle of the park. Newell is at 5/2 to score anytime, while Towell and Vaulks are at 10/3. Then there’s Rotherham’s goal-savvy defenders Richard Wood and Semi Ajayi – who has been a used substitute in the last two play-off games – who are at 15/2 and 6/1 to score anytime, respectively. For Shrewsbury, the main man will once again be goalkeeper Dean Henderson. On loan from Manchester United, the 21-year-old has racked up 19 clean sheets while only conceding 37 goals in 47 games this season. Most impressively, he only conceded more than one goal on six occasions in League One this season. Having shut out Charlton over two legs, he’ll be looking for a tidy final and is at 11/5 to keep a clean sheet. On the goals front for Shrewsbury, loanee Carlton Morris – from Norwich City – has been their go-to striker, but despite over half of his appearances coming off of the bench, Stefan Payne is the team’s leading scorer. This is the same striker who sunk Rotherham earlier in the season. Payne’s at 6/4 to score anytime, with starter Morris at 7/4. Their most influential player, however, is Shaun Whalley, who has 12 goals and 15 assists this season. He could be worth a glance with odds of 14/5 to score anytime. This looks to be a tight game but, as often proves to be the case in these big occasions, the best defence will win it in the end. It’s much easier to stay tight as a team than step up and change the game in such high-pressure situations. With this in mind, the top tip is for Shrewsbury to win 1-0, with Stefan Payne having the honours of sending The Blues to the Championship. Right now, Stefan Payne to score and Shrewsbury to win 1-0, 2-0, or 2-1 is at 6/1 – a good choice to back.